Rafeii, S., Pakkish, Z. (2014). Effect of Boric Acid Spray on Growth and Development of ‘Camarosa’ Strawberry (Fragaria × Ananassa Duch.). International Journal of Advanced Biological and Biomedical Research, 2(4), 1060-1063. Somaye Rafeii; Zahra Pakkish. "Effect of Boric Acid Spray on Growth and Development of ‘Camarosa’ Strawberry (Fragaria × Ananassa Duch.)". 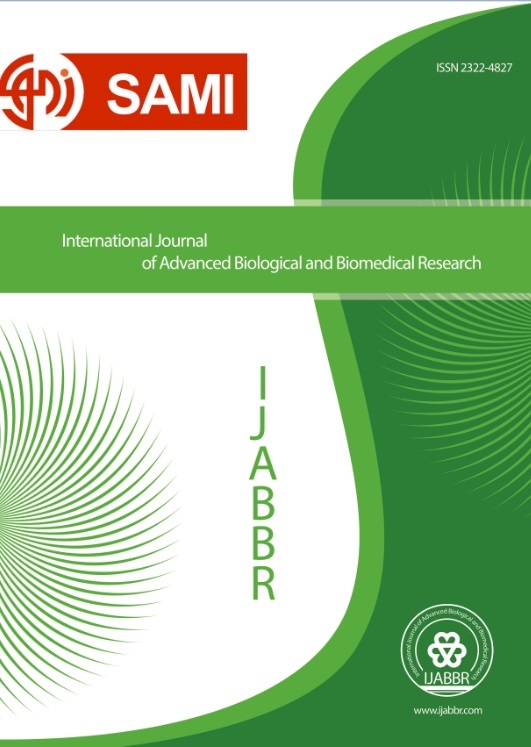 International Journal of Advanced Biological and Biomedical Research, 2, 4, 2014, 1060-1063. Rafeii, S., Pakkish, Z. (2014). 'Effect of Boric Acid Spray on Growth and Development of ‘Camarosa’ Strawberry (Fragaria × Ananassa Duch. )', International Journal of Advanced Biological and Biomedical Research, 2(4), pp. 1060-1063. Rafeii, S., Pakkish, Z. Effect of Boric Acid Spray on Growth and Development of ‘Camarosa’ Strawberry (Fragaria × Ananassa Duch.). International Journal of Advanced Biological and Biomedical Research, 2014; 2(4): 1060-1063. The objective of the present study is to investigate the impact of spraying boric acid on vegetative and reproductive growth of ‘Camarosa’ strawberry (Fragaria × ananassa Duch.). The strawberry plants were sprayed with Boric acid at 0 (control), 50 and 100 mg L-1 at 30 days after planting. In general, results indicated that spraying plants with boric acid had a significant effect on yield, fruit weight, chlorophyll, and leaf area. The superior treatment concerning vegetative and reproductive growth was spraying boric acid at 100 mg L-1 during experiment.